No matter where you are in the country you can use strategic partnerships with corporate clients to increase your credibility, visibility and your company's profitability? I’m thrilled that you’re interested in our Get Certified Coaching Program. You’ve have had dreams of building a successful business but it has become more difficult than you ever thought it would be. You don't want to waste weeks, months or even years trying to get your women or minority owned business of the ground. You want to start partnering with major corporations and government agencies now. You are ready to position yourself as a leader in your industry and brand your product, service, yourself and your company as a reliable supplier diversity partner. You don't want to wait any longer to expand and do business with corporate clients. You are willing and ready to get certified NOW. Because right now, you can join for just $997. A target, package and price your good and services session with LaTania Michelle where you will learn just what your clients are looking for and how you can position and promote your company as the best solution for their needs. While this program does require a one-time investment, we were careful to price our pilot project in a way that would make it easy for the right person to slip into. I’m not going to compare it to the cost of a Starbucks cup of coffee for a month or any thing like that. I think if you’re already doing the math in your head and you can see that if your received your certification within the next 90 days, even if you are a start-up business your first contract would completely cover the cost of this priceless business investment. 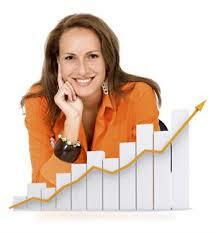 "Get Certified" coaching program for just $997. “Before meeting and building a relationship with you, I had no knowledge or idea that minority business certification existed. Through your mentorship, I gained valuable knowledge about certification that has increased my business revenues. Before you shared the value of certification with me, I was working hard with little results. Business was stable but since my certification, business is on a rise. I had a few small contracts but the certification has opened the door to a new world of opportunities for larger contracts. With your business resources and coaching through the process, I was able to partner with a major company on a large contract with a school district; which has made a powerful impact in my business. This contract started out for one year with the possibility of renewing for the next year and I am thrilled and thankful to say that we are two years in, with a signed contract for another three years to go. Now this is true “opening doors of opportunity” through mentorship and coaching. So if you are ready to stop playing small working in the shadows of your industry and move into the spotlight showcasing your business to clients who can pay you handsomely for your goods and services?